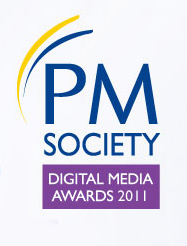 Design agency Creative Lynx won five of its seven nominated categories at the PM Society Digital Media Awards 2011 at The Brewery, London. The haul matches the company's success from 2010, where it also picked up five awards at the event that recognises innovation and quality in digital communications solutions in the healthcare and pharmaceutical market. Hosted by Hugh Dennis, star of the BBC's Mock the Week TV series, the awards recognised Creative Lynx's work for Janssen as best in the categories 'Best rep-led digital selling tool', 'Best digital patient communications programme', 'Best HCP educational programme – judged by HCPs' and 'Best integrated campaign'. The company also won 'Best internal communications' for its work with AstraZeneca. Other agencies to do well included eBee, picking up the 'Craft award – film and animation' for its work with GlaxoSmithKline (GSK) producing an animation for weight loss treatment alli. eBee's efforts for Gilead were also recognised in the category 'Best self-directed digital selling tool', while Gemma Tinsdale, account director at the agency, won 'Best digital project/account management'.